Musk believes patents only serve “to stifle progress” and that by releasing his patents he can help get progress moving again—and that progress will somehow win the fight against climate change. But do patents stifle progress, and will releasing patents really have this result? Patents are a trade with a government. The inventor agrees to disclose the invention to the public in exchange for a limited exclusive right to the invention. No one else can make, use, sell or import the invention without the inventor’s permission. The public interest is served because the invention is publicly disclosed, so anyone can improve the invention and patent that advancement. And anyone can design around it and patent that invention. If the invention has commercial value, no doubt many people will jump in and do one or both. The patent system still works today as it did the in the antebellum period, when the sewing machine was invented. Elias Howe invented the lock-stitch. That is where a needle passes through the cloth with a thread, the thread is then lock-stitched on the underside of the cloth, and then the needle is pulled back through the cloth, pulling the thread with it. The fabric is moved a short distance by a feed and the process repeats for a second stitch. A sewing machine does not work without the lock-stitch, so Howe’s invention was the core enabling technology of the sewing machine. But Howe fed fabric through the sewing machine with a circular motion feed. This circular motion bunched up the fabric, which made Howe’s sewing machine impractical and not marketable. Singer saw this problem and invented a new feed that pulled cloth straight through (still in use today) thus solving the fabric bunching problem and creating a marketable product. Had Singer not known about Howe’s lock-stitch invention, Singer would not have known to improve Howe’s feed. But it was not just Singer improving Howe’s sewing machine. More than 200 sewing machine companies sprung up at the same time, each with its new sewing machine inventions (levers, bobbins, thread tensioners, etc.). Most of these inventions were also patented. The next time you look at the complicated mechanical inner workings of a sewing machine, know that most of the various parts were invented over 150 years ago by different people engaged in a head on competition for the largest consumer market ever created to date. It is exceedingly rare that an inventor comes up with something completely new. Virtually all inventions are the result of combining existing elements and adding something new. When Howe invented the lock-stitch, existing machines used threaded needles, tied threads, and fed fabric through machines, but it took Howe’s insight and experimentation using all those existing pieces to figure out how to tie a knot on the underside of fabric after a single thread was pushed through with a single needle. All of the things that Howe combined were disclosed to the public in one way or another, many through the patent system. Patents promote progress because of the disclosure to the public of the invention. Anyone can improve it, combine it, or invent around it. None of that is possible if the invention is not disclosed. Musk clearly does not value how patents promote progress. But he does value trade secrets. Tesla is known for keeping a tight lid on its trade secrets. They protect these trade secrets as far as the law will allow them, including suing employees and the rest of the industry. Tesla recently acquired battery manufacturer Maxwell Technologies’ company for $218 million to learn its trade secrets for dry electrode batteries. Obviously, Musk values trade secrets, and he must believe that they do not stifle progress, or he would have released them to the public as well. However, trade secrets do not promote the progress of innovation. Trade secrets stifle progress. A trade secret, by definition, is a secret. Secrets are only known to the holder of the secret, so no one else knows how the invention works. Since no one else knows how the invention works, nobody else can improve it like Singer improved Howe’s sewing machine by inventing a straight pull cloth feed. Not only can no one improve it, but no one can combine it with something new like Howe did in inventing the lock-stitch. There are good reasons for keeping trade secrets. Some things cannot be patented, like the recipe for Kentucky Fried Chicken, or customer lists. But when an invention could be patented, keeping it as a trade secret denies the public knowledge of how the invention works, which in turn denies the public the ability to improve, combine, or invent around the invention. This secrecy slows the progress of innovation, and therefore harms the public. Trade secrets have become the preferred invention protection choice of many tech multinationals. Many of these companies have huge numbers of customers with thin products that run on or behind internet browsers. Most inventions in these fields can be hidden behind the browser, buried in the bowels of a datacenter, encrypted in code, or embedded in a chip and thus easily protected by trade secrets. In emerging fields, technology advances at a lightning fast pace. Improvements invented by others could bring disastrous disruption to incumbents. In Tesla’s market for electric cars, dry electrode batteries may be that disruptive technology given the $218 million price tag Tesla paid to obtain the trade secrets. The greatest threat to the very existence of these huge multinationals is creative destruction at the hands of someone who invents something that their customers want that they did not think of first. As a result, none of these huge multinationals wants anyone else to learn how their inventions work because someone else could improve it, combine it, or invent around it, which could disrupt their business. Hiding inventions as trade secrets acts to protect these huge multinational corporations against this threat of creative destruction. This is the reason that huge multinationals lobby so hard for strong trade secret laws and weak patent laws. This is clearly shown in Musk’s low valuation of his patents and high valuation of trade secrets. Trade secret protection for inventions that could otherwise be patented is bad public policy because it stifles the progress of innovation and it consolidates money, markets and power into a few huge corporations that become immune to the threat of creative destruction. But back to the self-serving hypocrisy of Elon Musk. If Musk truly wants to promote progress, thereby saving the world from climate change, he would patent his inventions and protect his patents jealously, and he would release his trade secrets for everyone to use freely—especially the trade secrets he just acquired for dry electrode batteries. There are currently 55 Comments comments. Join the discussion. If only everyone understood the basics of the patent system described here by Paul. Innovation is promoted by the patent bargain. You share your ideas with the public, and in return, if your invention has merit, you can receive a time-limited monopoly. Both the public and the inventor benefit. To the inventor: A limited time to exclude others. The inventor can reap reward for the intellectual work product, either by license or by the time given to bring invention to market while excluding others. The inventor can then continue to innovate. To the public: The disclosure, and then, the patent expiry. The public can see the invention. The public can improve upon it (and patent such meritorious improvements), critique it, work around it, or even license and include it in their products. Upon expiration of the patent, the public is free to use the invention. Thus, the public receives benefit both during and after the patent term. 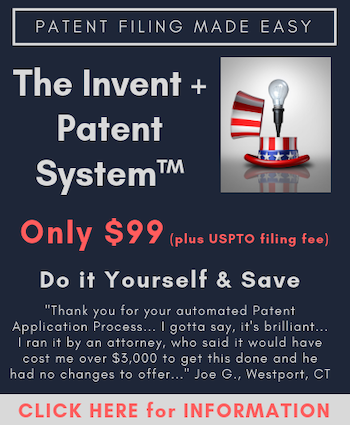 This is how the patent system is supposed to work, that is, before the America Invents Act (AIA) and before eBay (2006) destroyed inventor rights. A trade secret does not provide this benefit. Elon is no hero in this regard. I think you don’t get it. If I were in Elon Musk’s shoes, I too would release my patents because. I would have an interest in encouraging the growth of the battery charging infrastructure which Tesla relies on, and that in turn depends on seeing more players on the field. On the other hand, Musk still has an interest in supplying the superior product, so keeping some cards face down makes sense. Note that Musk is making a case for releasing his own patents. His argument doesn’t apply to your or my patents. Also, I refuse to accept the black and white characterization that patents promote or stifle progress. Some R&D teams license tech or design around patents creatively, others find their way forward blocked by a litigious competitor. It cuts both ways. I dont think its so black and white. Patents provide for economic incentives sure, but this model is terrible flawed given the current state of the law combined with the internet. Given the status of IPR’s and all the prior art that is out there on the interne (in any language btw), it is super difficult to create an enforceable patent. Perhaps Musk acknowledged that his patents dont really have value anymore given the current patent invalidation rate. Look at pharma, the biggest patent judgment of all time was Merck v. Gilead over the CURE to hepatitis C, the FIRST CURE TO A VIRUS OF ALL TIME. Gilead received 5 years of DEA/FDA enforced market exclusivity, but their patent was invalidated after 5 years making it generic and creating mass competition. If a giant multi-billion dollar company cannot defend patents that its $1,000 an hour lawyers says was protected and tight, then who can? Elon Musk gained control of the M5 car, as it was called before the name change to Tesla, in a classic ‘corporate raider’ move, by exercising a convertible bond option that empowered him to throw the original inventor, Martin Eberhard, right out of the company and then write that inventor right out of its history. Eberhard actually had to sue to get his name restored as a founder and original inventor of the Tesla automobile. Personally, I believe Elon Musk doesn’t have quite the genius inventing chops he portrays to the adoring public. True, he does have a few patents – in automobile door mechanisms. The principal appeal of the Tesla is not, of course, its amazing doors. This whole notion strikes particularly close to home for me, personally, as my father brought the Voltra – a hybrid drive electric motor and gasoline engine car design – to the 1961 International Auto Show in New York City, presented as an engineering prototype (proven through trials at 66 and 68 miles to the gallon). There was a writeup mention on page Six of the New York Post, and it is memorialized in the Show archives. Now found in a McLaren F1 doing 900 HP, near you. In the 2008-9 financial crisis, when $800 Billion in TARP funds were made available to the big banks, the ‘Big 3’ U.S. auto makers, familiar with shaking down DC politicians inside the Beltway for massive sums on giant scale scare stories, went to Washington to demand their “cut”. When put in front of Congressional subcommittees making a show of demanding to know why, they replied, in so many words, “please throw some $Billions at us or we’ll be buried under a mountain of Priuses, we don’t have the technology”. The enormous effrontery of power-monger rabble-rousing thugs in suits who enjoy all or nearly all of the fruits of genius inventors’ labors – yet, it is an inventor has to be the one to sue to restore his credibility of accomplishment? Therefore, it is “no skin off Elon’s nose” to abandon a field he was never that accomplished in nor as magnificently talented as he would have believe. However, in the domain of space technologies, there are definitely some original advances with SpaceX – but here, the sheer expense of the risks involved, despite the potential mammoth scale of rewards, stands in for the function of patents providing a barrier to entry for competitors of early movers in a given technology. How convenient for the SiliCON Valley, TED-hallowed St. ‘Genius’ Elon, there. “… as he would have others believe”. It is you that does not get it: blocking is good. This is not a new correction to your mantra. Your “but I’m blocked and that’s not fair” is beyond stale. You hit the nail on the head-Musk is extremely hypocritical, as are the other Goliath multinational SV techs. Indeed, he should be called the Google of the electric car. Once again, ‘you’ do “get it”, but as usual, you ploy an infringers’ line. The very raison d’etre, the essential heart of the U.S. patent system’s purpose, is to incentivize inventors to undertake the the difficult, expensive and wholly unpredictable work of inventing, in the public interest. Notpioneering “the way forward” for others to then readily exclude an inventor from its benefits, simply because of established economic power. Not, for recognition of authors under the same U.S. Constitutional empowerment to reach absurd lengths (e.g., copyrights now at 75 years after death of the original author), while that of inventors is thoroughly denigrated, and patents now languish as the ‘sad sack’ of the IP show. If regarded in the narrow context in which you refer, of Musk having “his argument” for releasing patents – not to be applied as a general prescription – then it would likely, in a vacuum, have the rhetorical effect you claim. However, that is not really the ‘real-world’ situation at hand here, is it? Elon Musk is, in the cult-of-personality age that we all now live in, a so-called “thought leader” to millions of impressionable people who have far less understanding of technology and how it is actually created in this world, than the majority of the visitors to this rather specialized Internet site. That you take a stance of being such a cheerleader to a move clearly aimed at sustaining the notorious “patent troll” false canard, only further reveals your true motivations, to those who can discern it. Such an ardent Musk-apologist “fanboi”! Those who write your paychecks are dedicated to enjoying the boon of technologies created by various groundbreaking inventor’s discoveries, without credibility nor compensation to their actual creators. The current trend of a a giant racket special interests illicitly influencing U.S. legislators, judiciary, executive and its academia, empowers and supports your stance. But have no delusion, in this forum – those who have not needed academies to develop our intelligence and natural genius to one of the highest accomplishments in this world, a genuine invention of a novel technology – are not deceived. Of course you feel that way. You represent infringers who cannot think their way out of a paper box. No invention is the only way to do something. If you clients cannot figure out how to do it better, they should either license the patent or get out of the business. All I can say is I told you so. You know how I knew? Because trade secrets were bigger when I was in tech in the early 1980’s. Trade secrets are horrendously bad. They tend to tie people to their current employment. They hide the inventions. They encourage corporations to build proprietary systems so that they can claim everything the employees know about the system is a trade secret, etc. But–just remember how poorly I was treated for coming down HARD against the Defend Trade Secrets Act of 2016 (DTSA). My guess is that in another 5 years people with any sense will be as against trade secrets as I am. I will bet that programmers and EE people will figure out just how good life was with patents. The other thing about this that needs to be understand is the interplay of trade secrets, patents, and employees. Why are patents so great for employees? Because it protects their inventions and makes them public. So the corporation can cut out what they own that the employee did. With trade secrets life is far more complicated. The employee (with little means) can never be quite sure of the line between switching jobs and doing new work and switching jobs and exploiting the trade secrets of their previous employer and risk a lawsuit. Really just shameful that people did not listen to me 5 years ago and prevent the new trade secret act from passing. My guess is that salaries —yes salaries all you technies that want to end patents–will drop 50 percent because of trade secrets. Why? Because you won’t be able to move to another company. You will be stuck. And—-get this —and get it good—this is just the start. Anyone that knows anything about IP and trade secrets knows that the corporations are just starting to figure out how to use this to their advantage. You ain’t seen nothing yet. I have to agree with Benny @2. Musk gives away his technology, so others will adopt the technology and improve upon it. He needs others to utilize the technology (for whatever purpose) so it’s implemented rapidly, becomes widespread, and he may benefit from improvements (perhaps at a price). This is why we have standard setting patents that must be shared. If you want people to develop technology associated with your products, either give it away or charge a very low price. All the FRAND talk supports this logic. FRAND implementation is another discussion. Here’s an example. Take the short sightedness of Apple when it started and contrast that to Microsoft. Regardless of the way you think of one company over the other, hear the argument. Early on, Apple held tightly to its patents, Microsoft got others to license at reasonable rates, so everyone developed products for Microsoft and few for Apple. So naturally, there were more products for consumers if they bought a PC. Consumers don’t think about right or wrong of patents, they look at the products on the market. Elon wants to influence the market for his cars and their technology and wants options. If others improve the technology faster than Tesla alone, he has the right idea. The article says that patents are a trade for the disclosure of information and that’s true. The patent owner gets the right to exclude (whatever that means) and the public benefits after the patent expires. Fine. But what if I want the public to benefit faster, I own the patent, I can do whatever I want with it, including giving it away. Obviously Tesla believes in patents, otherwise why get them, and the public believes that something patented must be worth something (perception is everything). So give away what the public believes to be valuable and many will take a look. that’s exactly what he wants. Finally, the article says that “secrets stifle” and Night Writer makes a compelling argument in support thereof. Trade secrets are not good for quick adoption of technology. What Musk is doing is exactly the opposite of secrecy, he’s giving knowledge away for free. Patent is to protect the inventor for the invention in a product that nobody has it before. Anybody can analyze it but can’t use it. Trade secret is something not in any product yet and anybody can use it and patent it if they can get their hands on it. Why Elon Musk should pay millions for a company with some trade secrets in the work then open for everybody to copy and patent it ? You are so dumb ! Your title should be “Garbage Collector” ! Interesting article and comments. I also wonder if TESLA Corp. really had any pioneer or fundamental patents others would have infringed, since electric cars are such an old technology? The car’s good looks and PR seem to be the major sales factors, and I do not recall any specific new technology advertising claims for the cars, as opposed to their factory? Have any reporters in the financial press researched the status of the Tesla patents at the USPTO? Did the company file to end the terms of its patents? Or is this Musk bloviating that he “won’t” attempt to assert the patents in an infringement suit? So Elon Douche screwed over the inventor of the original vehicle. Sounds like what happened to Nikola Tesla. An apt name for the company. Did Mark Cuban’s patent promote the progress of self-balancing something? What should infuriate every US citizen reading Benny’s comment is the underlying assumption everyone has a Right to practice already patented inventions. D) steal (infringe) the patent in the name of faster progress (read: because I already have a large distribution infrastructure, the public is better served because they get new products faster than if the inventor had to scale up a new business from scratch. Therefore, because the public benefits from the original invention faster through my theft – the theft is justified. It would be analogous to Steve Jobs “giving away” technology implemented in IPhone by donating his patents on rectangular phone and other crap like that to the general public – who cares ? It’s as though none of you (except angry dude @14) have ever read a patent application. Not everyone out there is Thomas Edison. Take a look at US9119493, for example, which is typical of the rubbish I see in my field in my daily work. Is that promoting technology ? Or is it something a second year engineering student would knock together over the weekend ? Does Samsung expect LG to license that “technology”, or are they just manufacturing legal ammunition ? The biggest direct effect these patents have on you is to raise the cost of the product. A great article, thank you for for the insight into Musk’s workings. I might add a quick note about the push to electric vehicles. The US electric grid is not capable of charging the numbers of vehicles that Musk and others hope to put on the road. It is a complex problem which has no easy solutions. The electric generating and distribution capabilities in the US are already stressed to the point where a hot summer day can cause brownouts. Fortunately that is now limited to geographic regions with the hot temperatures. If electric vehicle numbers increase significantly, to something like one percent of vehicles on the road, it will lead to brownouts and rotating outages nationwide. Just like in the ’70’s gas shortages, people won’t be able to use their cars. Will that cause the electric power industry to fail? The electric vehicle industry to decline? Improvements in mass transportation? I wish I had a crystal ball. In any event, inventions are needed to combat these problems. Unfortunately this is a time where the incentive to invent has been killed by the AIA. No doubt, Musk had tight patents when he was coming up, but now that he’s a Gazillionaire, he’s giving his crumbs to the people… Patents empeding progress? A lofty notion born out of pure arrogance! Patents are the cornerstone of successful innovation. Just ask anyone whose had a shifty engineer steel an idea from them. I have! And so much for King Lewey… I’ll eat my cake and jelously guard it too, thank you !! angry dude returns and in his emotional rants, once more acts like the mouth of the Efficient Infringer groups (don’t bother, give up, go home, this thing called patents is not for you). The Margaret Cheney “Tesla: Man Out of Time” biography was excellent (I read it years ago and forgot the author’s name and had to search for it). It’s a good read for a flight or trip. I gave up trying to talk to Jobs fan-bois long ago. Jobs (and Musk) fan-bois who are in startup companies are the worst. Their cognitive dissonance is top-notch. They simultaneously state that “patents hinder technology” while boasting that their own “pending patents” will disrupt everything. Most times they have a provisional filed for something that won’t get past a Section 102 rejection. Benny @21: “Not everyone out there is Thomas Edison”. Fair enough. But your approach seems to be that because some patents are weaker than others, all of them should not have any teeth. Would you care to weigh in on how you would incentivize the next Thomas Edison to commercialize his or her genius? wherein when the first basket is lowered for installation on the frame, the lowering of the first basket causes the plurality of protruding members to penetrate at least one of the openings such that the plurality of protruding members provide lateral support for the cutlery. Please explain why this is a bad patent. I’m all ears. I haven’t read the details of Mr. Musk’s most recent statement but the use of the term “good faith” in Tesla’s June 2014 Patent Pledge was interesting. The way Tesla defined good faith was that the free use of Tesla’s patents was contingent on licensees refraining from asserting any patents or other intellectual property rights against Tesla. In other words, a condition for using Tesla’s patents was that Tesla could use the patents owned by its licensees. …especially when yours are worthless. Tesla has no differentiating technology or technology leadership (and it knows it). It also has no price-to-earnings ratio. It is essentially a company of the banking elite. Musk is simply a banker’s messenger, who, in fact, took over Tesla as its banker. The VC in Silicon Valley do not want strong patent law (by their own admission) – they want it “weakened” (so to speak) into a legal firepower game. Because, nowadays, VC simply do not invest in technology or inventors, they invest in the markets sanctified up-high, and sanctified golden boys. It’s all about having that exit, baby. Unfortunately, this cronyism and nepotism is not how to retain a winning technology base. Paul… Whaddaya mean, crickets? I live in a different time zone, gimme a break. I didn’t say the Samsung filing was a bad patent, I said that it can’t be held up as an example of technological progress, it’s little more than a plastic prong in the cutlery basket holder. Not exactly the building blocks of modern civilization. If you get to work with major manufacturers like Samsung, LG etc you soon learn that most of their applications hover around that level of “progress”. Strong, since you ask, my advice for the aspiring inventor is, team up with a Chinese contract manufacturer. You won’t be placing a deposit on a Learjet anytime soon, but you could probably make a decent living. And how an “aspiring inventor” is supposed to protect himself from being ripped off by Chinese manufacturer ??? Trade secrets of course but how to keep them from manufacturer of your product ? Benny, I used to buy Ford trucks because they had an electronic combination lock on the door. I could leave my keys in the car and they would not jingle in my pocket at work or church. It was a small feature in the larger scheme of a truck, but it made the buying decision for me. You point out this patent as too simple and seem to make fun of it because you do not understand the patent system. I will help you to learn what your career has been all about. Not every invention is something monumental like the light bulb or the steam engine. Most are just incremental improvements that differentiate a product. Speaking of incremental improvements, both the light bulb and the steam engine were actually incremental improvements of existing things. Pretty cool eh? So you see Benny, this patent is an incremental improvement that may be the reason that a buyer decides to purchase the Samsung over the LG. LG could possibly license it. But that is up to Samsung. They could design around it, which would not be very hard with this patent. Or they could combine it with something else to improve it. Or they could just steal it – after all that is what big corps do with impunity. This is how the patent system promotes the progress – through incremental improvements. Little things that improve what exists. At the level of knowledge and experience that you have in the patent system, perhaps we can set up a a curriculum to catch you up with the rest of the readers of this blog. We will have to start with economics 100 and move to business 101. Perhaps in a year or two of elementary classes, we can finally get to patents. Please let me know if you would like to do this. There are other alternatives for you. You can flip burgers for example. Thank you for being patronizing. That sort of attitude will make you very popular at parties. The Samsung patent is an example of how the patent system’s interpretation of 103 is all over the place – sometimes, as in this case, what should be obvious to a junior technician with a pair of pliers and a glue-gun is not legally obvious. So it isn’t a case of putting your nose to the grinding wheel as much as it is running to the patent office with a convoluted application. That’s not using the patent system to promote progress. That’s using it as a business tool. All open and above board, but call the child by his name and don’t try to sell me this level of patent as “promoting the useful arts”. If Ford has a patent on their door lock, they effectively cut down your choice as a consumer, which is good for Ford, but tough on you if your wife wanted a Dodge. So it’s not all sunshine and cheer for everyone. As an employee of a manufacturing company, I have to say that cornering our customers and restricting their choices is just the way we want it (and why we are in no hurry to hand out licenses to our competitors), but there are two sides to that coin. You have zero room to talk about attitudes that would make you popular at parties with your incessant views that mirror the Efficient Infringer mantra. I get invited to parties attended by engineers, not lawyers. Engineers are way more fun. And I don’t need to wear a tie. Benny, this is the point that you (and others who represent huge multinational corporations) fail to understand… . Perhaps it is willful blindness. Using the patent system to promote business is promoting the progress. You cannot have one without the other. Protecting a small improvement that differentiates your product in the market promotes the progress by forcing competitors to come up with something better to take market back. Patents are not technical documents, they are business documents. If you do not agree please tell me who is going to pay the fees unless they believe they can get the investment returned? It is the accumulation of small improvements that brings about major advances. Nobody invents something without combining what others have done before and adding something new. Your view is that only those few major inventions should be patented and the rest are too small to earn the right to be patented. But without incremental improvements, nobody can get to the major inventions. (from my memory of 20 years ago – some details may be wrong, but it is basically correct) While trying to improve the telegraph (an invention already existing) Bell (or Gray depending on which story you believe) used a bathtub filled with water (prior invention). He placed a layer of acid on top of the water. He placed an electric charge on piece of metal (invented prior) and placed it in the water. Then he measured voltage (volt meters were invented already). As he moved the metal around the tub, he discovered he could vary the voltage by moving it closer or further from the edge of the tub. This ability to vary voltage and send it through a telegraph line became the core invention in the telephone. Even Bell took existing inventions and incremental improvements, and added something new. You sadly miss the entire point of the patent system. And, importantly, I could care less if people like me at parties. While on the subject of logic and parties, the correct expression is “couldn’t care less”, not “could care less” (which suggests that you do care.). 1) Take the inordinately large (financial and trade secret theft) risk of partnering up with a foreign Chinese manufacturing firm. Also, make sure you have all of the international business savvy associated with this endeavor as well. 2) Assume large domestic manufacturers will see and steal/replicate the product as soon as they see it, as there are no legal (patent) protections against this. If you are successful in spite of these risks – Congratulations, you win a…. “decent salary”! Call me crazy, but in this scenario – the next Mr. Edison will simply go find himself a decent salary with ZERO of the risk. His employer may be lucky to get a small fraction of the inventive energy he would put towards an endeavor which benefited him directly. The public loses, the economy loses, everyone loses. Of course your multinational corporation does not want competitors to out innovate you. But your multinational employer wants to out innovate them. this is because by doing so, your employer gets to sell more widgets. When they sell more widgets, they make more money. When they make more money, share prices go up. When share prices go up, shareholders are happy and the CEO doesn’t get fired. By inventing an incremental improvement and incorporating it into your current products, your employer might be able to take some sales from its competitors. That causes competitors to lose money and their CEO may get fired. In response to losing sales, your competitor will incrementally improve their products so they can take some of those lost sales back. It’s pretty simple stuff. When you take that Business 101 class you will understand. We may have to start with elementary math first. But it’s good to know you are at the top of your game on grammar. At least we have somewhere to start. Benny, sorry. CEO is an acronym that stands for chief executive officer. That’s the person running the company. Large multinationals looked around in the early 2000’s and realized that, in the US, the life span of companies that reach the #1 position in their market is limited. The nature of our economic engine that promotes constant disruption fosters a pretty regular “changing of the guard” because the big companies (that once had the advantage of being small and nimble) eventually become a victim of their own growth (as their very success/growth inhibits their ability to be inventive – as compared to the “small, nible guy”). Historically, the large companies would stay on top a little longer by scanning the market for these disruptors and, in most cases, acquiring them and various stages of their life cycle. Occasionally, one of these disruptors would refuse to be acquired and would grow to become the new, dominant player in the market. It was a great system that benefited everyone. But in the mid 2000’s, the dominant players decided that they wanted to stay on top forever. It didn’t matter that the only way to do this would be to create new weapons that would kill disruptors on the vine, thereby crashing the very system that brought them success in the first place. They successfully lobbied for the AIA – and got their new weapons. A&M activity in recent decades means that your so-called “large companies” are actually financial conglomerates operating as centralized operations, who (unlike the represented mythology of a manufacturing-plant operation) are technology-agnostic. This is a rather critical distinction that is glossed over in more simplistic narratives. The objectives vis a vis patent law, of these financial conglomerates is determined, in great part, by whether or not the sector has become what is an infrastructure play (e.g., any energy, internet, or , nowadays, almost any outcome of the “hard sciences” – new memory chips, batteries, testing, etc). Monetization and dissemination of these technologies requires large capital inputs.and the politics of a much larger infrastructure, which must adapt to these technologies. Qualification, validation, and regulatory protocols are required to even attempt adapting new technology to existing infrastructure in these industries, and are largely political decisions (in which there is, incidentally, a demonstrably high failure rate). But the important thing is that these financial conglomerates can control and gate these infrastructure modifications independently, and so do not want to be hindered by the liability of stubborn patent holders (and why, when they can simply buy any critical patents very cheaply from a small entity, who is otherwise helpless to cause such infrastructural acceptance?). On the other hand: for Big Pharma, it is completely different, as it is not an infrastructure play (simply buy your pills in Canada or Mexico – done). Therefore, the messengers of high finance are telegraphing an explicit message, in direct response to this reality..
For example, when you read editorials in Financial Times, The Economist, Federal Reserve white papers, or from the University of Chicago boys (e.g., Posner, et al), you will find that they single out Big Pharma as the one area that should be saved from “weakening” patent law (because it is not already controlled by the financial sector through infrastructure plays). I just don’t see any way how US patent system can survive with this agenda. @48 They successfully lobbied for the AIA – and got their new weapons. I don’t buy all that stuff from Posner. Many of the new technologies, in fact, exploit new infrastructure. Etc. I am not going to go into specifics right now, but all of that stuff you wrote is probably wrong and at best incomplete. It sounds like more propaganda from Chicago to justify bifurcating the patent system and ending patents for all but a few technologies. In relation to the present discussion, Tesla is a finance-sector infrastructure play, not a technology-centered company (hence the usual disingenuous narrative from Musk regarding patents). As the 800-lb gorilla, they will buy or cross-license the technology patents they need (and they hope, very cheaply). Case-in-point, this car company started out purchasing and putting together Panasonic batteries, Lotus chassis/bodies, off-the shelf motors, and controls (even when it was run by its founders). It was at the level of a mechanical-engineering integration project. The only reason Tesla is relevant today is through the very much politically-based decision made to grant them take-over of the recently abandoned Toyota/GM-partnered, advanced manufacturing NUMI plant in Fremont (now Tesla), which was a ready-to-go, high-tech, state-of-the-art auto plant (there were public tours). Several EV companies were salivating over this abandoned plant. The biggest renovation cost was the paint job. It was, and remains, a ready-made, very impressive-looking, Potemkin village. Tesla got the big ready-made factory; Fisker went out of business. The financiers should now be justifiably nervous about Panasonic (still providing its pre-manufactured battery “technology”), and particularly those related battery and balance-of-system, IP issues. I don’t think you have actually read my comment, given your comment. Particularly, if you somehow think I have shown any positive light on the likes of Posner, and his – yes – typical U of Chicago propaganda. ?? Why do you think I haven’t read your comment? I did read your comment. I did read it as though you were giving credibility to the propaganda of the Chicago school as you used their positions as if it backed up what Musk was doing. Maybe I misunderstand your comment. Anyway, I don’t think the Chicago school has any credibility. Posner, in particular, is worst than worthless. I’d like to see if the Chicago school is getting money to push out these views. I’d bet they are. I’ve said this many times, but I think the core problem with patent law is the academics that provide the basis for the judges, justices, and law makers to trash patent law. It was the same with anti-trust law. And, I don’t think what they say is in any way fair.